The paper focuses on the Bupa Insurance Company as it is an international healthcare group and the aim of the company is to make people happier and healthier. The strategic framework of the company is focused and strategic report of 2016 revealed the strong revenue growth by the company because management practices are excellent. It is recommended to the Bupa that there is need to carry out external and internal analysis timely so that there could be the assessment of the market and risk management (Bupa.com, 2017). Bupa Insurance Company was established in 1947, it is an international healthcare group, which has the headquarters in the United Kingdom, as the company right now is serving the 32 million customers in the 190 different countries and known as the not-for-profit private. However, it is the healthcare company that also has the privately run Bupa hospitals in the healthcare segment and the services are given to the general public, a company also do the private medical insurance of the people and provide the value of money to the customer’s, communities and the companies. The company is focused on the innovation from the technological aspects in the market so that caters could be provided with the value and the satisfaction and Bupa want to make its customers or people happier and healthier. The strategic framework of the company depends on the three pillars example Customers, People, and Performance. However, the steps are taken in order to get safe from the risk and capital management, the company focus on the sustainable performance of the market. The efforts are done so that the company proved itself as loved like a true customer. There is care of customers in the health and care segment. Bupa is creating the effective strategic framework, so that company could create the trust in the customers and there could be the value for customer’s money. Thus, the steps are taken for the engaging and empowering of the customers, the digital transformation is done or focused for the continuous improvement. Bupa wants to see the people happier and healthier based on the reasons, the company focused on insurance programs, so that there could be pace and connectivity with the customers. In order to enable it globally, there is focuses on driving the continuous improvement so that local needs of the customers can be processes easier (Bupa.com, 2017). 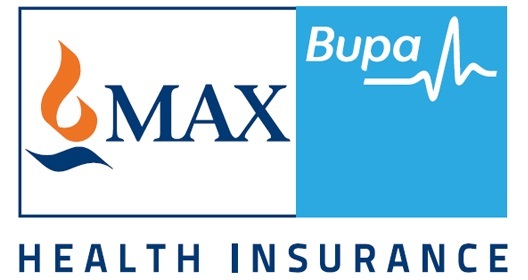 Bupa is well positioned in the market the company is focused on the management to achieve the success in the future, as there can be the challenging market conditions but the teams are committed to delivering the extraordinary services to the customers. In the strategic report of 2016, there is focus on to deliver the effective services to the clients, the company is struggling, in order to bring the technological progress and innovation, the company is improving and extending the services for customers. There is focus on the different phases for growth opportunities, moreover, in 2016 the Bupa make the efficient and effective strategies so that there could be excellent or highly sensitive healthcare services to the customer. The strategic report focused on the insurance aspect, as the Bupa focus on management co that there could be the better understanding of the risk and compliance. With the rigorous capital management and selective expansion of the new growth opportunities in the market, a company is making itself strong and sustainable and past year tell about the effective management because there is strong revenue growth (Bupa.com, 2017). For the management of the risks and uncertainties, the company is focused on the new approaches to the risk management, as the management and staff focusing together on the identification of the risks so that there could be appropriate management. Bupa CEO is concerned about the risk culture and other categories of risk. Therefore, Bupa does internal Audit in order to focus on the effectiveness and adequacy under the management framework so that there could be the effective delivery of healthcare, thus, the company also seek opportunities in the various so that the insurance business proves to be effective (Jenkins & Williamson, 2015). Achieving the success in 2016, Bupa is focused on to meet the goals in the next years; however, the company is doing efforts to meet the liabilities. Bupa by focused on three-year assessment make the efficiency in the internal strategic programs, by making the efficient, planning process thus, the key financial and the capital structure is followed by the company. Through the business report and the strategic analysis, it is known that the company is facing stress in the global market because there can be the macro risks in the market. Therefore, for the risk solvency assessment, the major analysis is done on the solvency needs. Bupa in the planning period focusing on to meeting the regulatory capital and making the sufficient capital and liquidity in order to make the financial performance and cash flow better. There is the detailed assessment of the company programs, as the goals are to get the advantages’ on the time period of three-year planning, by 31 December 2018. Bupa is struggling to reach the goals, the company had made the assessment framework (ICRMA), so that there could be the analysis of the better situations and the internal control or other risk management could be controlled by the management. The Bupa’s governance structure is focused on to manage and mitigate effective business governance procedures for the future efficient performance that are expected for the growth and are needed to continue (Bupa.com, 2017). Regarding focus on the conclusion, it could be said that Bupa is safe from the risk and capital management in the market because new opportunities and innovations are prioritized. Company focus on the sustainable performance of the market, through the strategic and business report of 2016, it is analyzed that Bupa is improving and extending the services for customers. Bupa had also shown the effective management and strong revenue growth by the last years, thus, in the longer-term viability, the company still focused on the future efficient performance, therefore, managing the business governance procedures. Griffin, R. W. (2010). Management. Cengage Learning. Jenkins, W., & Williamson, D. (2015). Strategic Management and Business Analysis. Routledge.